This Tattoo, was Inked by two very experienced Artists: " Mr Liu & Mr. Bo", who reside in, Changzhou, China. Amazing, just, f--King, AMAZING! Who are the guys, that did this, TAT? It took just over a year to complete. With multiple sittings. Wow! 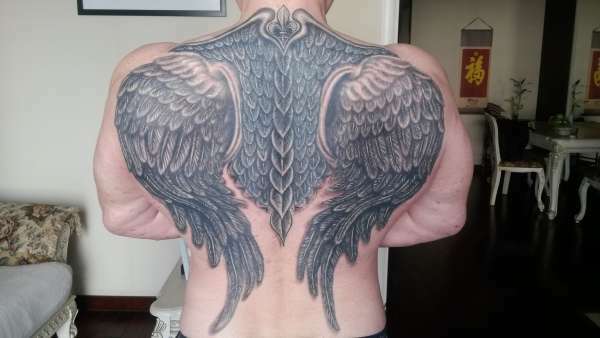 This is one of the best wing tattoos l''ve seen!